The IRS made an announcement earlier this week that completely changes the ACA reporting requirements 2018: The deadline changed. That’s right, your ACA reporting as a completely new due date. So What’s New ACA Reporting Deadline? The 2018 Form 1095-B, Health Coverage, and 2018 Form 1095-C, Employer-provided Health Insurance Offer and Coverage, need to be offered by applicable large employers (ALEs)––typically with 50 employees or more–– as evidence of offered minimum essential coverage. March 31st is the due date to furnish 1095-B and 1095-Cs to the IRS if the aforementioned ALEs filed their ACA reporting electronically, and February 28th is the date to furnish those ACA forms if they had elected to paper file, at least under the initial ACA reporting requirements 2018. This week’s announcement only alters the recipient copy deadline, which was the first of the ACA reporting deadlines in 2019. It does not extend the deadline by which ALEs must send their 1095-B and 1095-C forms to the Internal Revenue Service, which remains February 28, 2019 for paper filers and April 1, 2019 for e-filers. Why Change the Deadline for ACA Reporting Now? The IRS is known to be lenient in times of disaster, allowing areas affected by hurricanes and forest fires an extended period of time to file their required forms. While California’s lethal November Camp Fire may be part of the reason behind the Internal Revenue Service’s decision to extend the recipient copy deadline, the official cause released by the IRS is rather simple: people just don’t have enough time. According to this notice on the new ACA reporting requirements 2018, the Department of the Treasury (Treasury) and the IRS had a discussion with stakeholders, and have determined that a large number of employers, insurers, and other minimum essential coverage providers need additional time beyond the January 31, 2019, due date to gather and analyze the information and prepare their 2018 Forms 1095-B and 1095-C to go out to recipients. ALEs do not have to show additional documentation explaining why they are filing by the “later” March 4, 2019 deadline. If any ALE needs even more time to furnish 1095-B and 1095-C forms for 2018 than the four weeks and four days provisioned under this new announcement, they can’t do it the old-fashioned way. Regulations under sections 6055 and 6056 of the Internal Revenue Code allow the IRS to grant extensions up to 30 days if an ALE shows reasonable cause, and ACA reporting filers can also get another month by filing Form 8809 on or before their original due date. However, in light of the extended 2019 deadlines for 2018 recipient ACA reporting, extensions are not a valid option. Extensions appear to remain available, however, for filing the 1095-B and 1095-Cs with the IRS. The IRS notice may have bought you some time, but you should be thinking of your ACA reporting now more than ever. 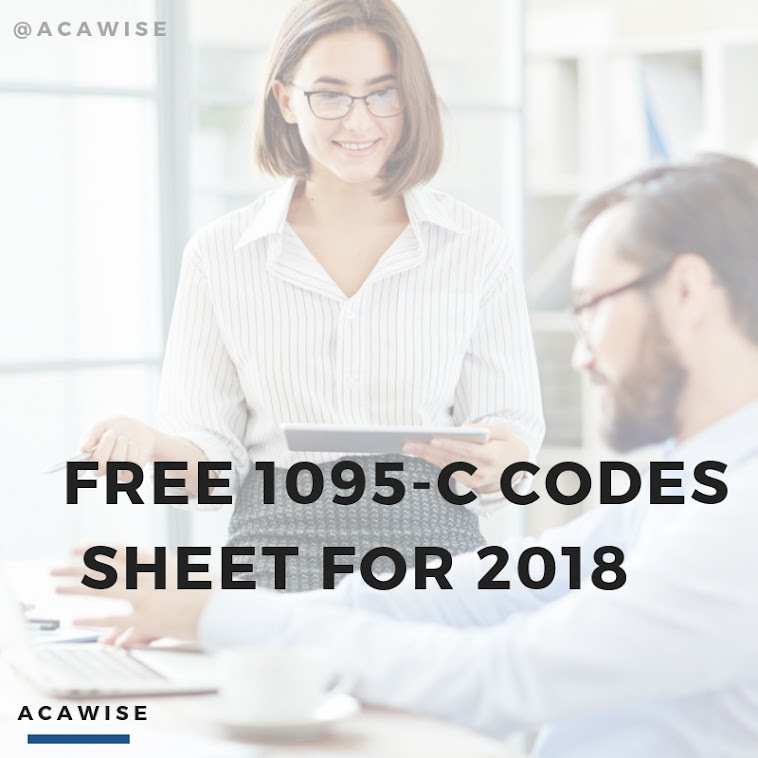 ACAwise is a full-service ACA reporting solution, and our account executives are standing by, ready to help you meet your ACA reporting requirements 2018.